As we are just a week or so away from the big day, like me – panic may be setting in about last minute Christmas shopping. 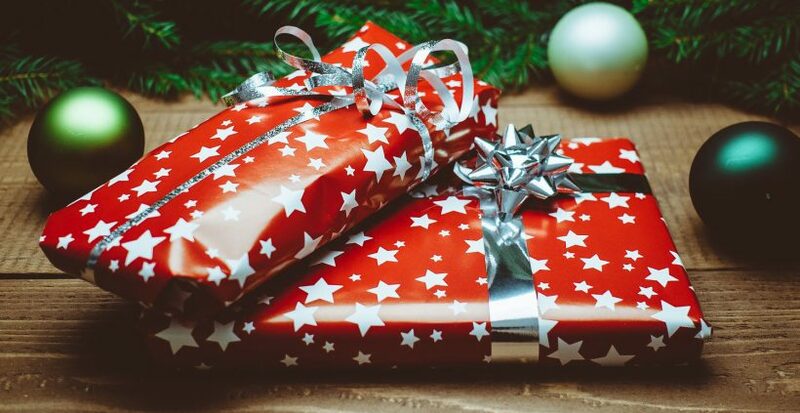 Luckily I found a great little blog on what all us creative types would love to find under the Christmas tree. So without further delay – take note, get your coat on and get shopping. Good luck!! Not sprouts dipped in chocolate, to clarify. 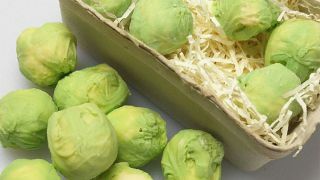 There’s nothing more Christmassy than sprouts, and now even sprout-haters can get in on the action with these amazing chocolate replicas of the traditional festive treat. Handcrafted in Somerset from carefully-dyed white Belgian chocolate, this punnet of eight sprouts is just one of a range of chocolate trompe-l’oeil from Choc on Choc. Just in time for The Last Jedi. The only thing nearly as Christmassy as sprouts is this new tradition of Star Wars coming out just in time for Life Day. And rather than get all over-excited and splash out on the latest toy, why not opt for this set of six tasteful Star Wars-themed coasters? Not only are they way cool, they’re handmade and hand-varnished to protect against spills. Ungrateful recipients can take this apart and keep the bricks. Perfect for anyone who simply can’t get enough Lego, these frames are made from genuine Lego bricks and plates and come in a variety of sizes from 4″x6″ up to A4. And as it’s not glued together, if the luckily recipient doesn’t like it they can just take it apart and play with the bricks instead. Have yourself a Brutalist little Christmas. Brutalist architecture has finally made the transition from appalling eyesore to design classic, and has even inspired a style of web design. George Finch’s Lambeth Towers, completed in 1972, are considered to be his Brutalist masterpiece, and this print definitely shows them to their best advantage. It’s available in a number of sizes; we’d opt for the A3 giclée print. Coffee and classic literature – what’s not to love? No designer can resist books and decent coffee, and this thoughtful gift delivers the best of both worlds. Sign a friend up for as long as you like, and every month for as long as the subscription last they’ll get a surprise vintage paperback and some delicious ground coffee sent to them. A must-have for true type-lovers. An essential gift for any typography aficionado, Paul McNeil’s Visual History of Type is a beautiful and comprehensive look at the most important typefaces produced since the invention of movable type in the 15th century. Featuring over 320 typefaces, displayed in the form of their original specimens or earliest printing, it’s a must-have resource for anyone with an eye for type. Computer Arts magazine offers insight and inspiration for the global design community. And it’s not just for Christmas either – buy your designer friend a subscription and they’ll get a new issue through their door every month. Every copy includes in-depth analysis of trends, working practices and business issues, incisive opinions from the design world’s thought leaders, an inspiring roundup of the very best new work from the global design community, profiles of influential agencies, and behind the scenes access to cutting-edge design briefs. Plus, there are some ridiculous offers on this holiday season, so now’s the time to buy! A cooler take on a classic gadget. Hand-carved from finest bamboo and fitted with a distressed leather strap, the Bear Wood Watch from Tribe is a fine-looking timepiece, and just the thing for anyone who’s sick of having to take out their phone to find out what time it is. It’s big and it’s stylish, and as it’s made out of wood, no two are alike. Get a quality caffeine hit wherever you are. Freelance designers working in-house run a constant gauntlet of terrible coffee, whether it’s cheap instant or a filth in a plastic cup from out of a machine. So this USB-powered gadget is a godsend – it’s small enough to pop in a satchel, but it’ll quickly deliver a cup of damn fine espresso. Bring a touch of retro cool to any room. This retro cinema sign makes a perfect desk lamp or room feature, and can be personalised with any wording of your choice. It’s handmade in the UK from reclaimed or sustainable timber, distressed and then finished with French polish wax for an authentic vintage look, and its white LED lighting provides a lovely soft glow. For designers who prefer paper. The reMarkable isn’t cheap, and you should order as soon as possible if you want an outside chance of it arriving in time for Christmas, but it’s just the tablet for a designer who prefers working on paper. Designed just for reading, writing and sketching, it’s a paper tablet with a beautiful and responsive E-ink display, and it boasts 100,000 pages of storage and days of battery time. Give your back some proper support. Christmas is the perfect opportunity to get the designer in your life to stop ruining their back on some cheap swivel chair, and set them up with a quality office chair that provides proper lumbar support for all those late nights tweaking Bézier curves. This high backed chair from Eliza Tinsley ticks all the right boxes, won’t cost the earth, and its mesh design looks great too. Any idiot can buy someone a bicycle; show them you really care by getting them to build their own bicycle. At this day-long workshop run by The London Bike Kitchen in Hackney, they’ll build a bike from scratch, from the frame to the fork, and get to ride it home at the end of the day. Best of all, if it goes wrong they’ll only have themselves to blame – but they’ll know how to fix it too. The long-awaited follow-up to Microsoft’s first laptop. We’ve waited two years for Microsoft to gets its act together and release the follow-up to its first laptop… and here it is. The Surface Book 2 doesn’t come cheap, but it does include some impressive specs. There are a total of seven different configurations to choose from, but all offer a notable boost in performance, most include a bigger and better screen, and improved battery life. You can preorder yours from John Lewis here.